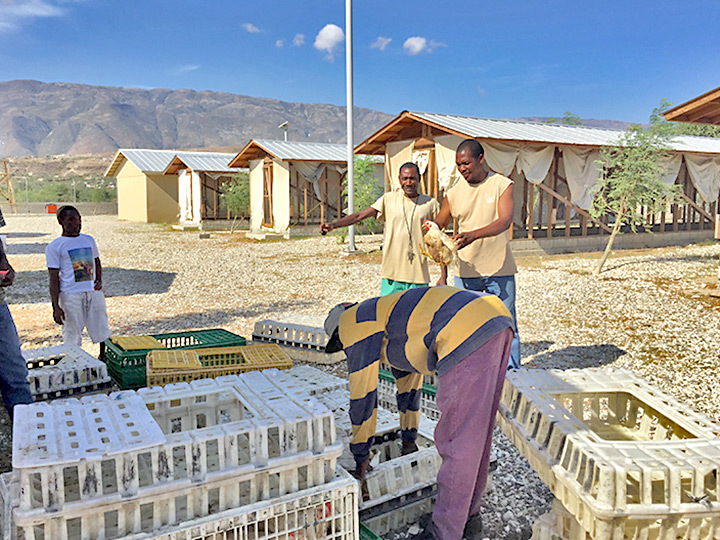 The chicken farm co-op project, is located near Love A Child’s new Marketplace (Gwo Maché Mirak). 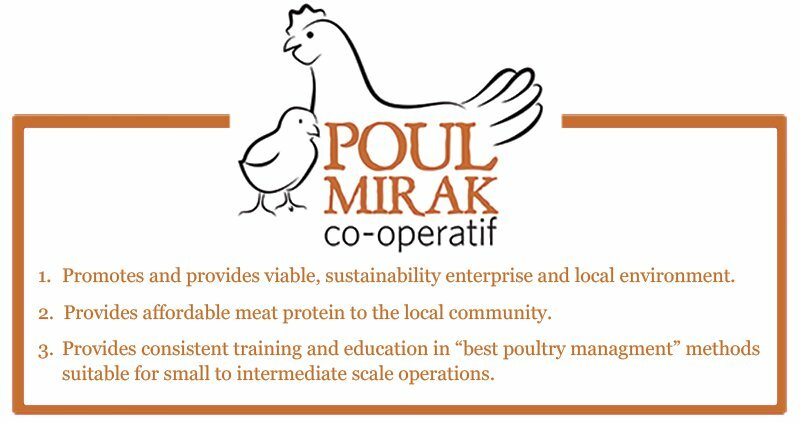 The Poul Mirak Co-operatif (which translates to Miracle Chicken Co-op) is a unique social enterprise model that was established as a project for gaining self-sustainability and dignity through sustainable enterprise. 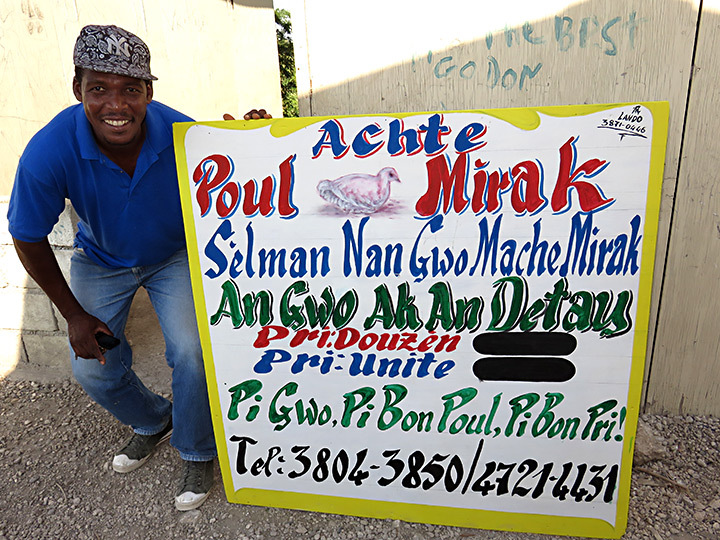 It operates in conjunction with and in support of Gwo Maché Mirak. 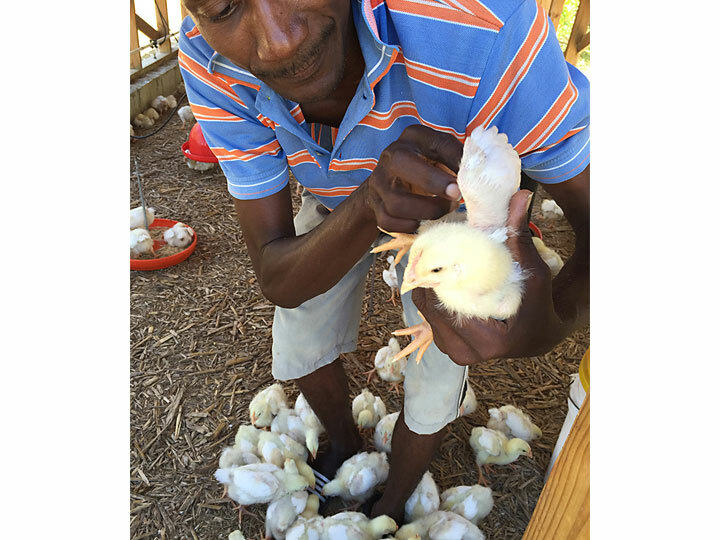 This one-of-a kind model for long-term sustainability relies upon focused donor support to provide the foundations of infrastructure and working capital to begin a broiler growing operation. 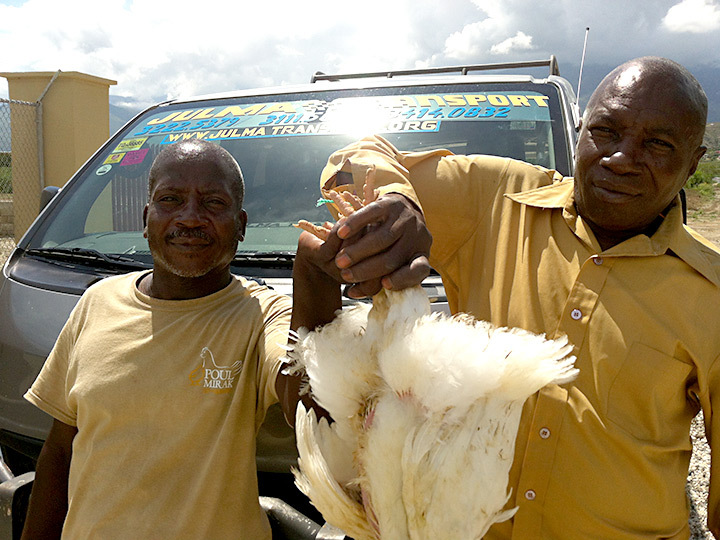 Five eager locals were picked to join the co-op. 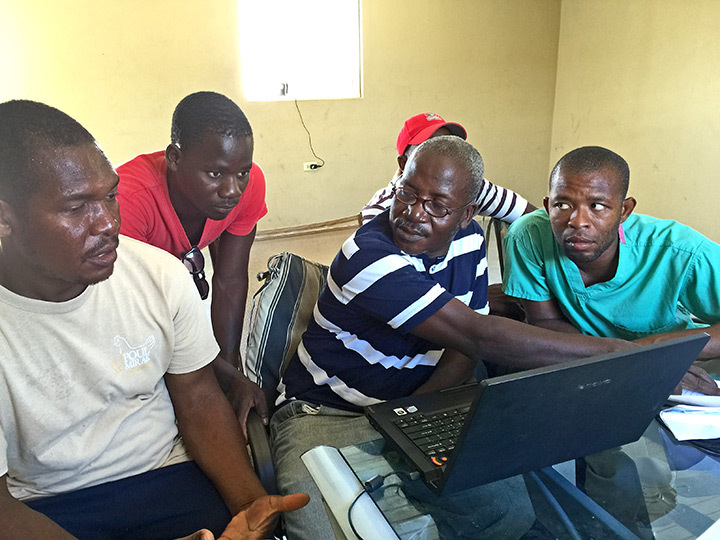 We equipped, trained, and now mentor these five members to offer a hand up in lifting their community out of poverty. 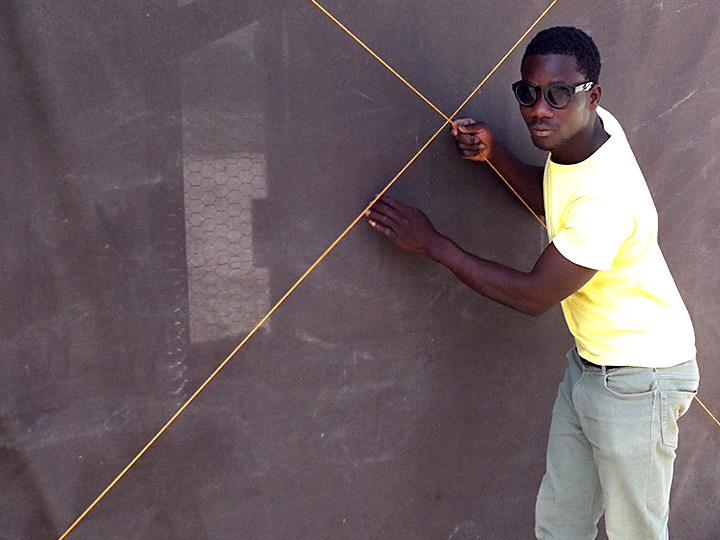 Please take a moment to view our image gallery below. 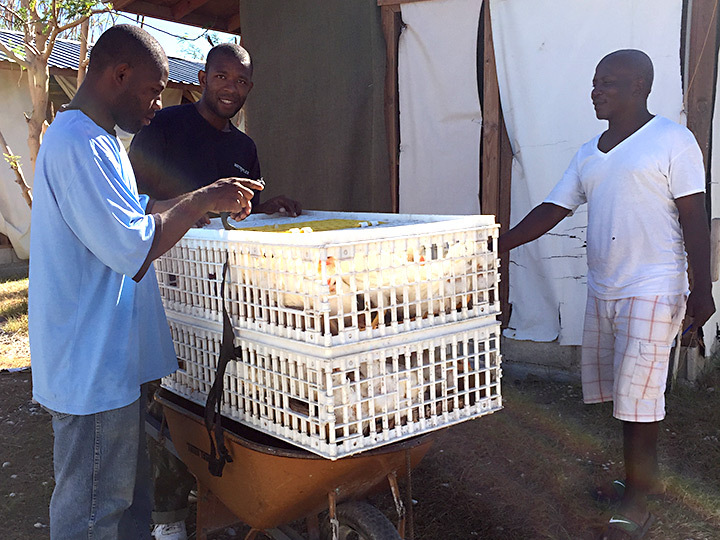 Each week one of the nine growing houses in operation receives between 400-500 baby chicks to begin their 6-week growing out period. 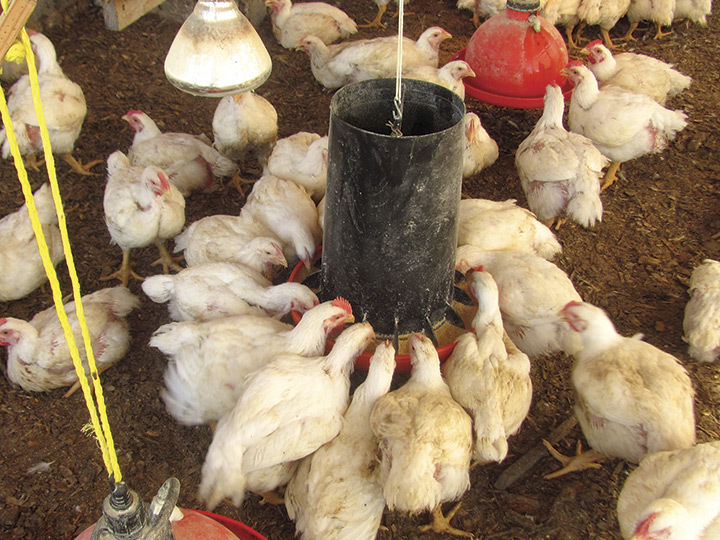 When they attain market weight in 6 weeks, they are then sold to wholesalers or retail customers. 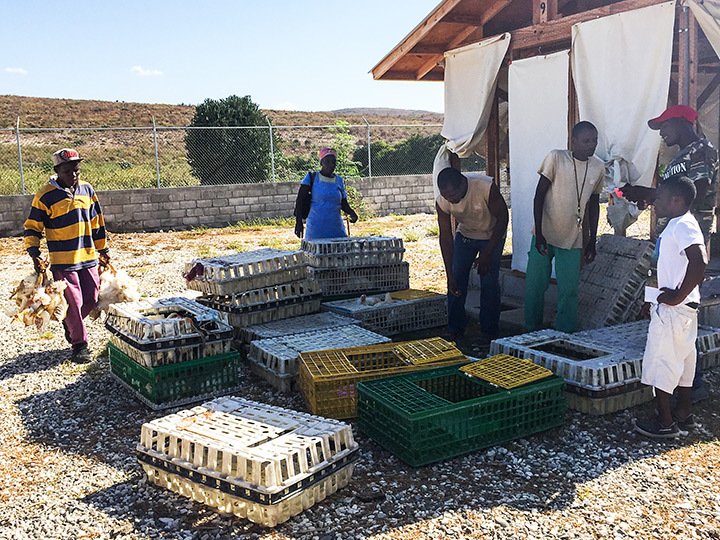 Six of the total nine houses will hold birds during their growing period, while one house holds the chickens ready to sell that week, as they have finished their 6-week growing period. 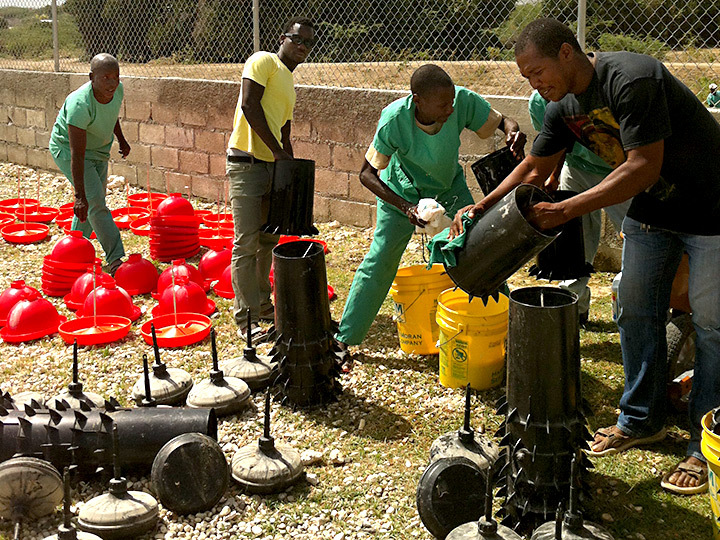 The other two houses are cleaned and are “resting” for two weeks as a sanitation and bio-security measure. 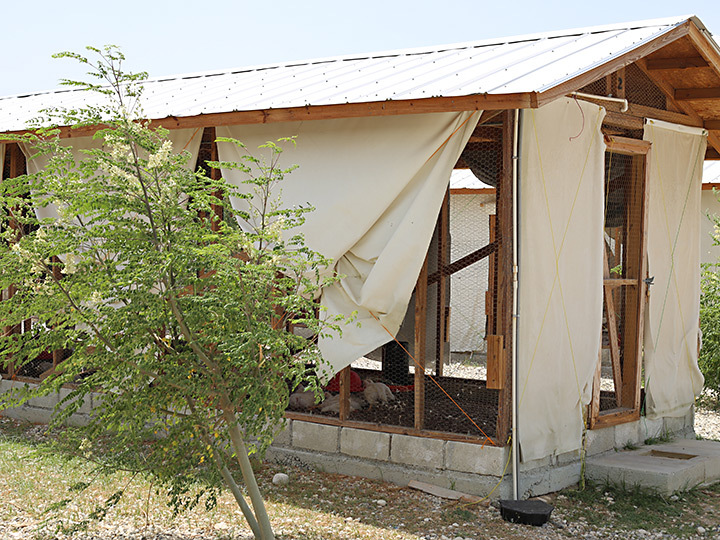 These nine houses rotate in and out of production as the birds grow and develop to market weight. 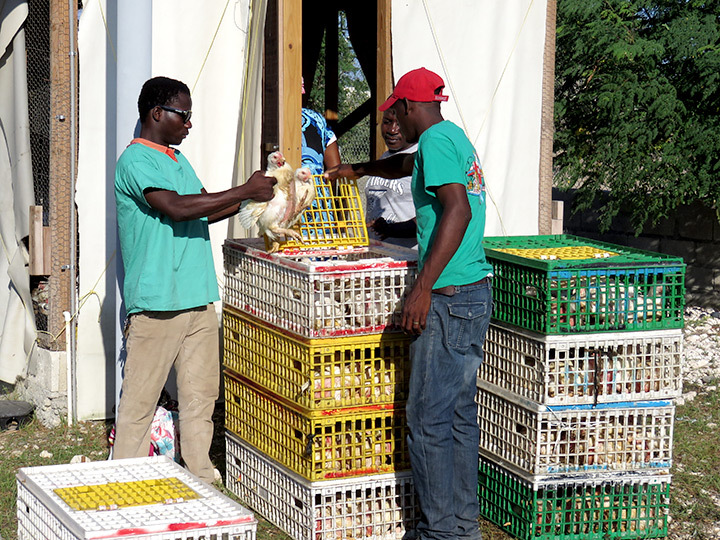 This production system allows the co-op to continuously have fresh, tasty, locally-grown birds for the market. 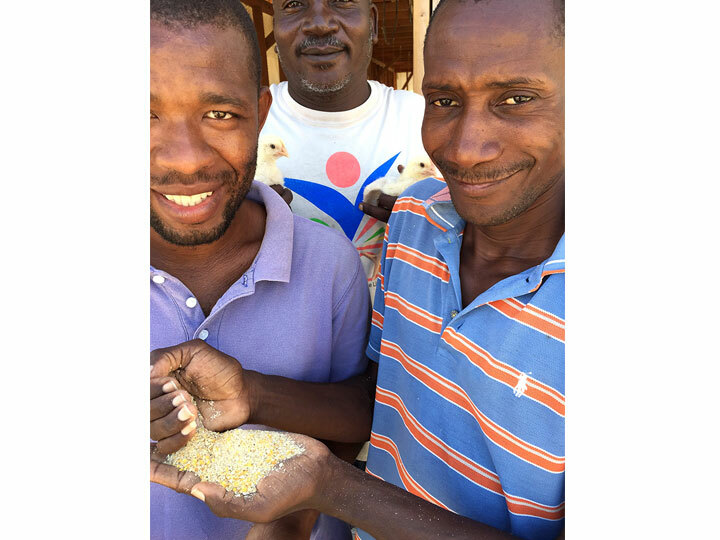 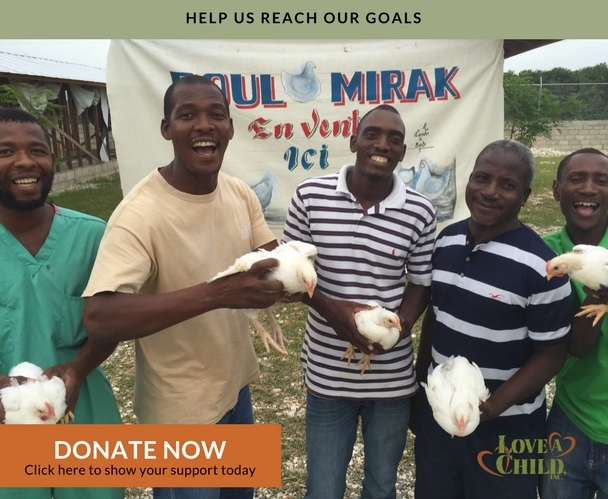 Love A Child, through its Poul Mirak Chicken Co-operative, is now offering a training class for raising chickens in Haiti. 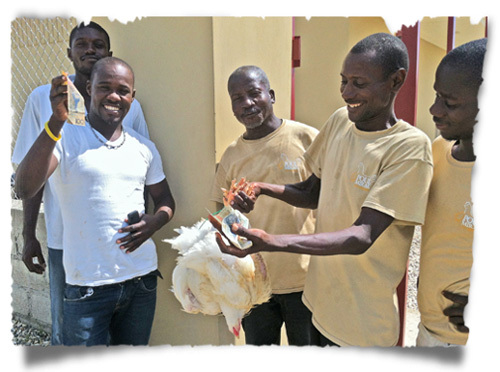 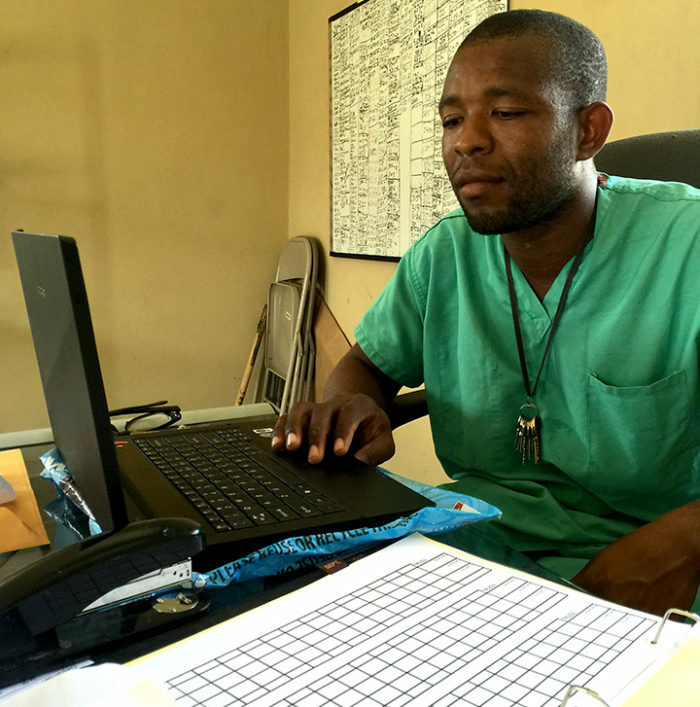 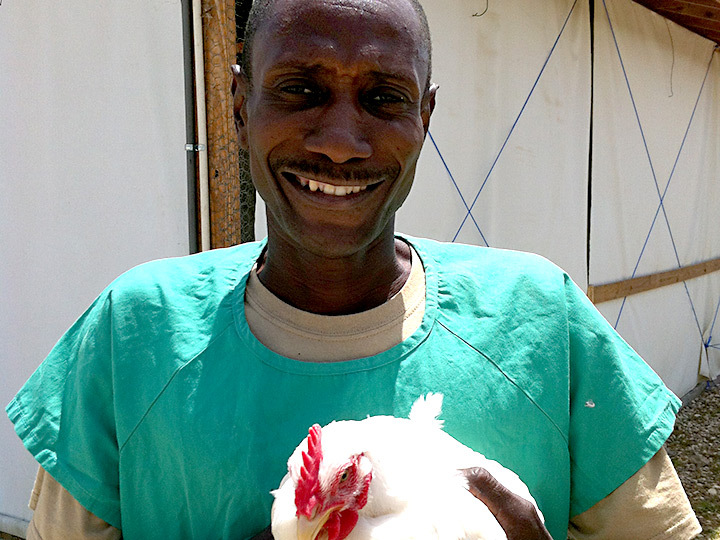 One of the stated objectives of our Poul Mirak chicken co-op is to ensure a place of continuing education in basic poultry science, geared specifically to conditions in Haiti. 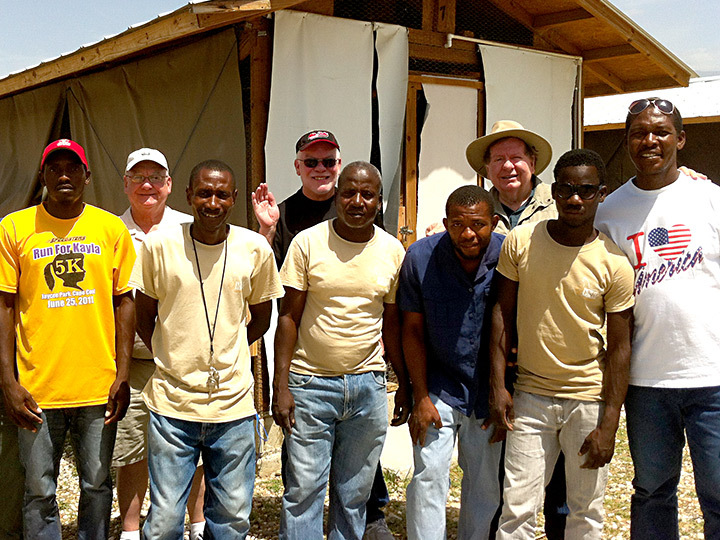 It is a residential program where students will come and stay in the ATC bunkhouse to live, learn and work together. 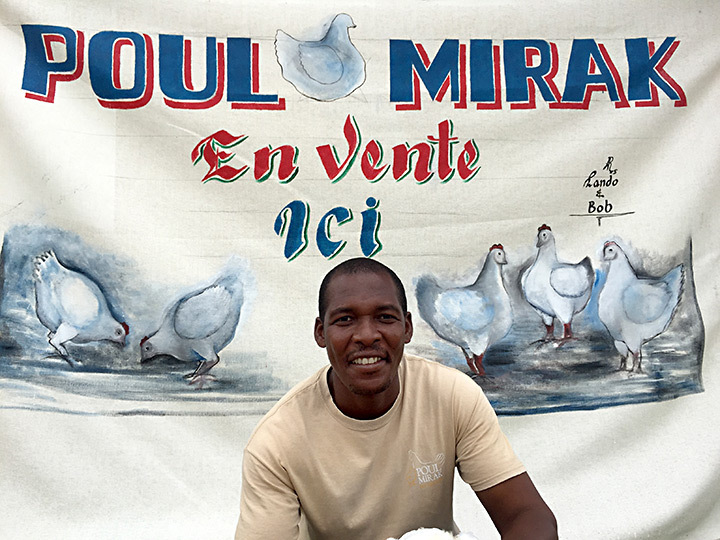 After operating successfully for three years, our co-op members are now offering the “Poul Mirak chicken school”. 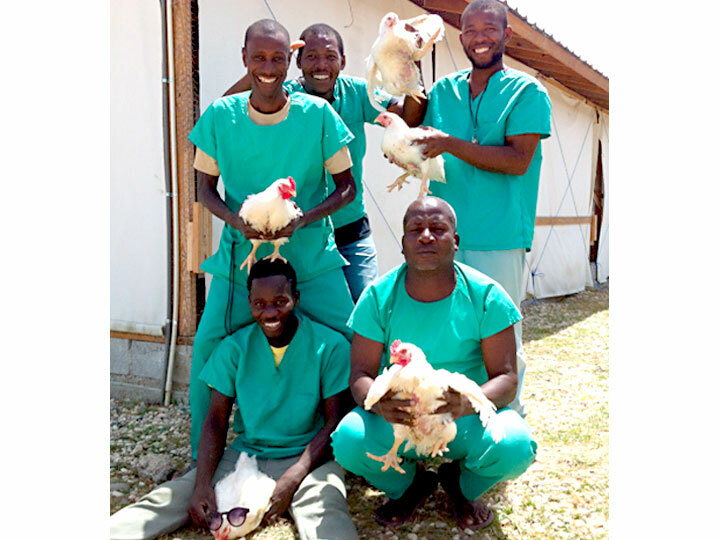 This course runs for 6 days, covering basic poultry science; how to raise chickens, from 1 day old through egg laying age. 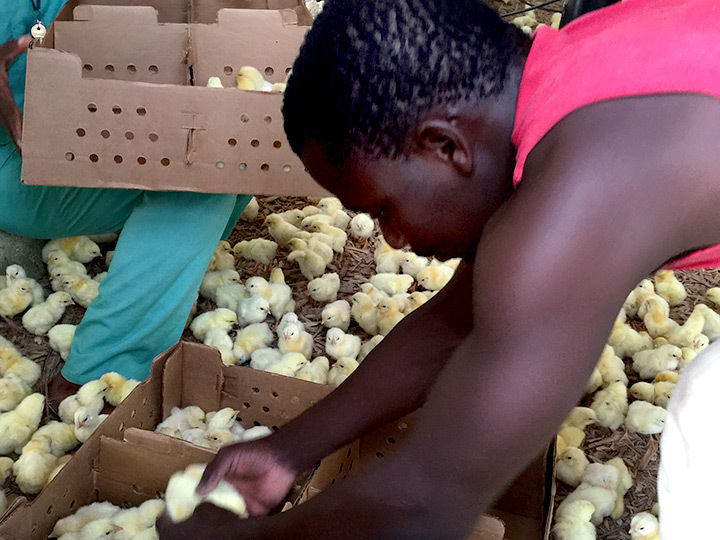 Students learn how to raise chickens for both meat and for eggs. 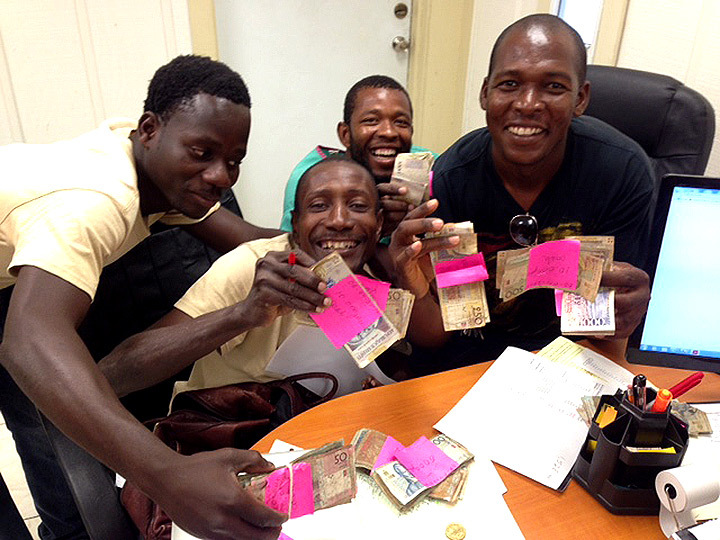 The cost of registration and tuition is $155 per student which includes, room and board, instruction, books, a student t-shirt and Certificate of Completion. 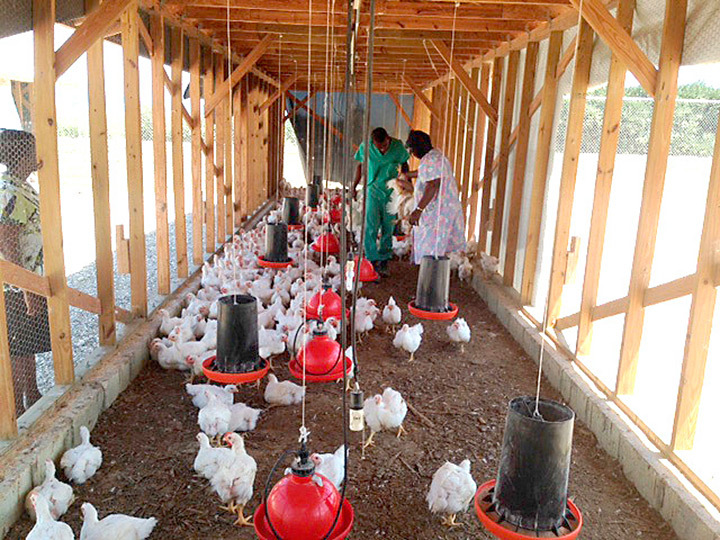 Upon completion, students should have enough knowledge and skill to confidently raise chickens for meat, and eggs either for consumption or as a small business enterprise. 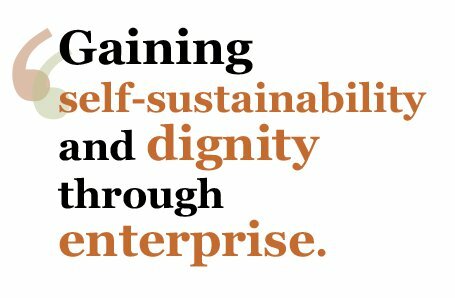 To learn about all of our programs, please visit our Sustainability Initiatives web pages.